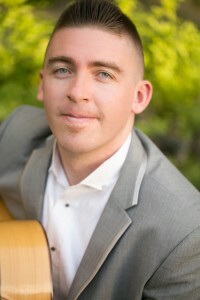 MUSICIAN, MICHAEL SEAN MILLER lives, performs, & teaches based in Northern California. Michael Sean of El Dorado Hills, CA has been a featured artist at prestigious venues including The Palace Hotel in San Francicso, Palazzo di Migianella, The Sacramento State Capital, Vizcaya’s Mansion & Pavillion, & The Grand Island Mansion to name a few. At the age of 9 years old Michael began his studies of Classical Guitar in Austin, Texas at the 3 Muses School of Fine Arts. Continuing his education in University studying with Richard Savino & Steve Homan as a Classical & Jazz Guitar Performance Major at Sacramento State University. Michael has trained with one of the best Italian Guitarist in the world from Sardegna, Italy Roberto Corrias. Roberto performs with Michael in their International Flamenco/Rumba Group Los Tres Mediterraneos. Roberto received his degree from the Italian Conservatory. He refined his musical expression at the Universite’ Internationale de la Guitare in France and via artistic collaboration with Spain’s best known artists of Classical and Flamenco guitar in Seville, Cordoba, Granada, and Jerez. Another influence and inspiration to Michael’s art is Los Tres Mediterraneos member, Jose Manuel Blanco, “El Grillu”~ Jose is a highly acclaimed Flamenco Singer raised in the Spanish seaport town of Gijón, Spain and has been a big inspiration to Michael and his music. Jorma Kaukonen is another of Michael’s favorite guitarists. Michael has used his gift of music to entertain, inspire, celebrate with, uplift, and comfort during all kinds of different special occasions including Weddings, Concerts, Corporate Events, Political Events, Fundraisers, Charity Events, Restaurant Ambiance, Awards Presentations, Anniversaries, Private Parties, Tradeshows, Mixers, Graduation Ceremonies, Funerals, Christmas Events, Church Services, & much more. With 20 years of playing experience Michael is both highly gifted & qualified as a performing artist. At the young age of 28, the best is still ahead for Michael’s career as he continues to share his strength, courage, hope, & love with others through his life and music. He currently maintains a busy career as a Wedding Professional, & Recording Artist working on his upcoming CD entitled “The Art of Love” which is scheduled for release in the near future to be announced with a Tour to follow! Michael loves to entertain, inspire, & uplift others with music that connects with audiences at a multitude of layers all musical, with fun style, & of course with meaning!